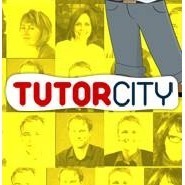 TutorCity.in provides a golden opportunity for students to learn from the best tutors in their neighborhood and city. Tutor is not following anyone. Tutor started following Whistle, and 14 more companies Suiteness, Stroll Health, SilkFred LTD, plantaware, personalRN, mileME, LyteSpark, LoYakk Ltd, IUNU, Cloudstead, Inc, Care+Wear, BriteHub, AIO Robotics, Inc. and Core Mobile, Inc.
Tutor started following Wonderspark, and 19 more companies CrowdStreet, NabThat, Gitoon, 7write, ShowKit, KoolTechs Inc, ScriptGuard, Nodexus Inc., Plug.dj, ProGrids, Luminate Health, Cloudwear, Inc., EduKit, Countable, Thesis Couture, ShareRoot, Inc., Back to the Roots, DaoCloud and Privail, Inc.